I arrived in Korea on Saturday night and spent the Sunday doing some light walking around the streets near Gangnam. 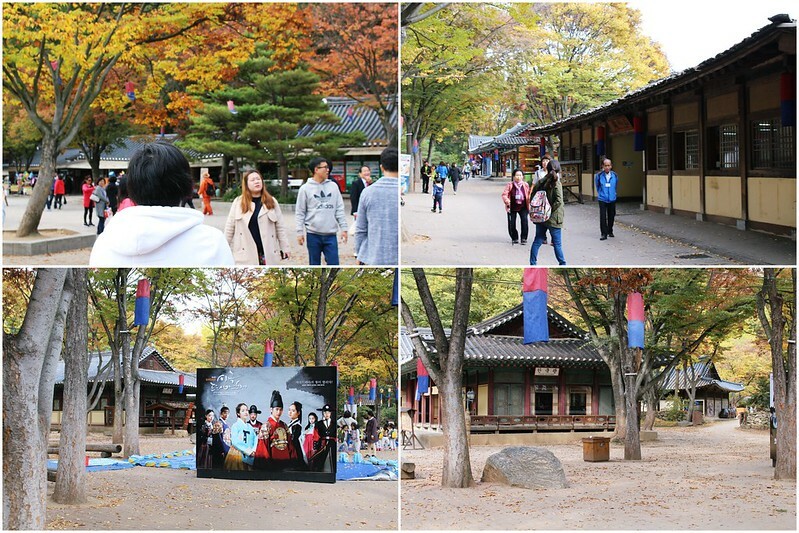 On Monday, we went to Minsokchon, the Korea Folk Village (한국 민속촌) in Yongin. 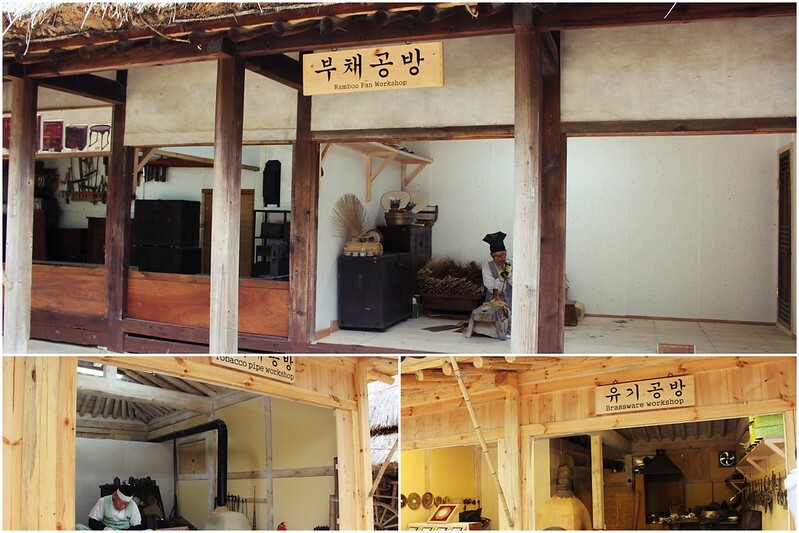 Minsok village is a living museum type of tourist attraction in the city of Yongin, a satellite city in the Seoul Metropolitan Area in the province of Gyeonggi in South Korea. 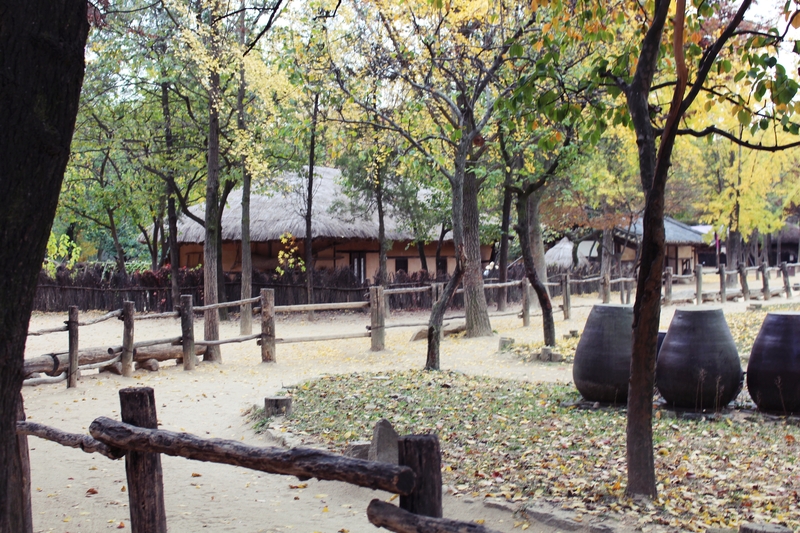 Korean Folk Village is a popular tourist destination for both Koreans and foreigners. 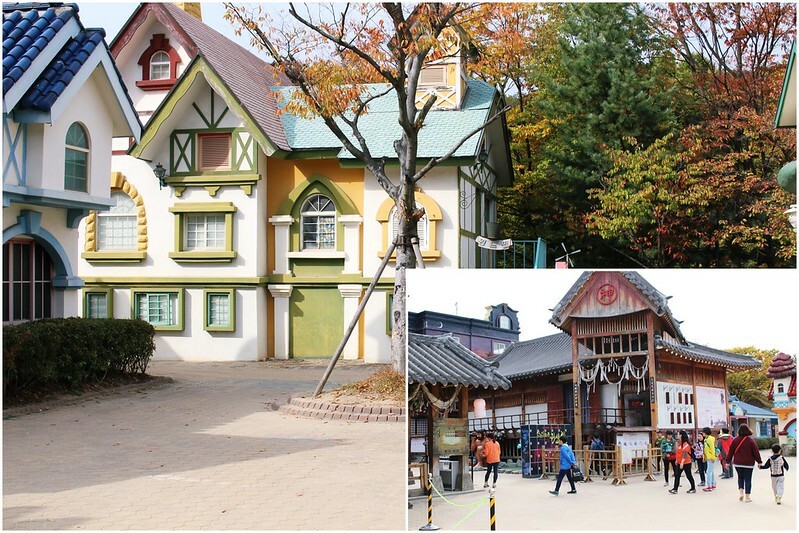 It is located near Everland, South Korea’s largest amusement park. 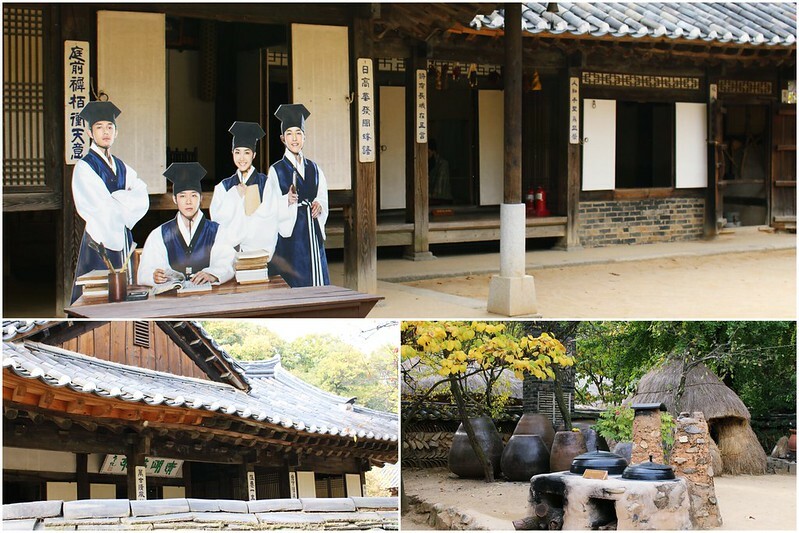 When we first arrived, there were a lot of old traditional buildings and large posters advertising different dramas that had filmed in this area. 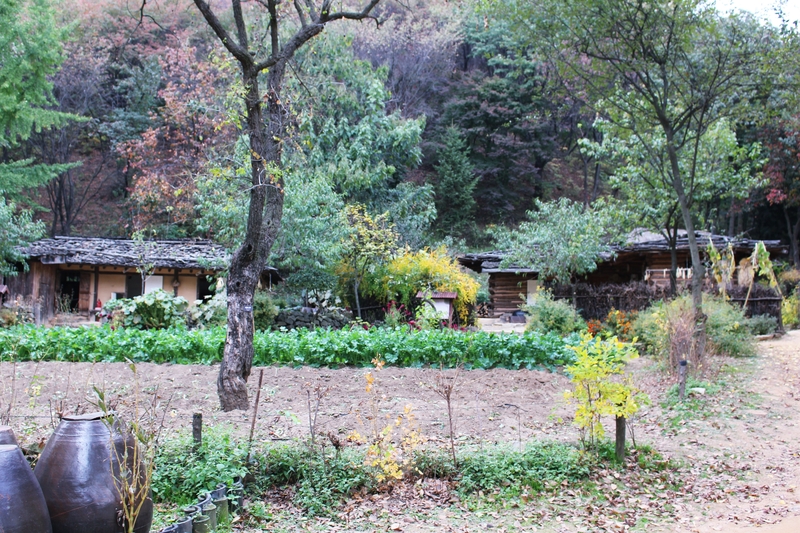 Some buildings had older men wearing traditional clothing in workshops crafting tools and hardware. 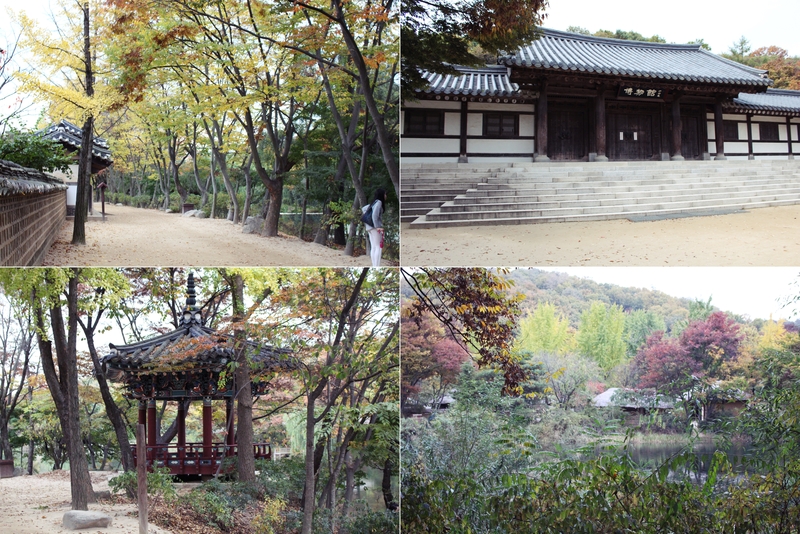 The area was filled with trees as well and they were all slowly turning into a beautiful autumn color. We were there on a slow day for the village so it was much easier for us to get good pictures; there weren’t that much tourist but a lot of children on field trips. There was a small section dedicated for children and it was a western theme. It was quite a mismatched area for the attraction but it did include arcades and haunted houses for children. 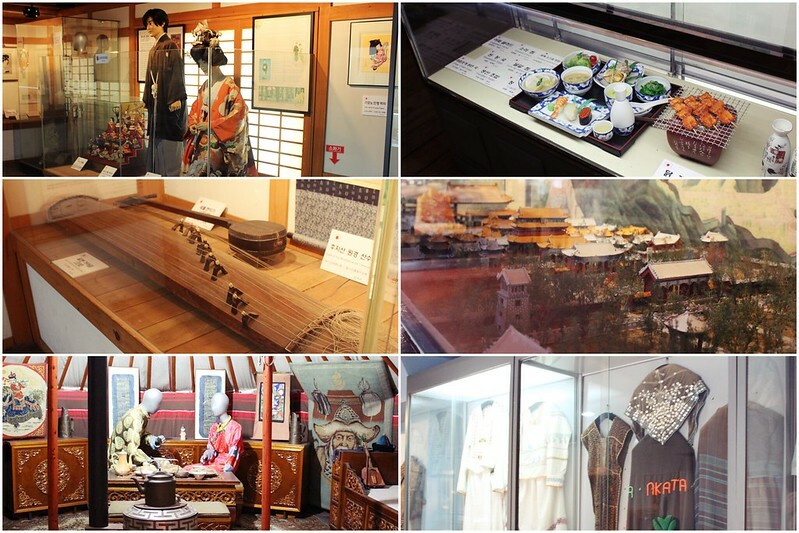 There was also various exhibits dedicated to other cultures, which displayed their traditional clothing and heritage. 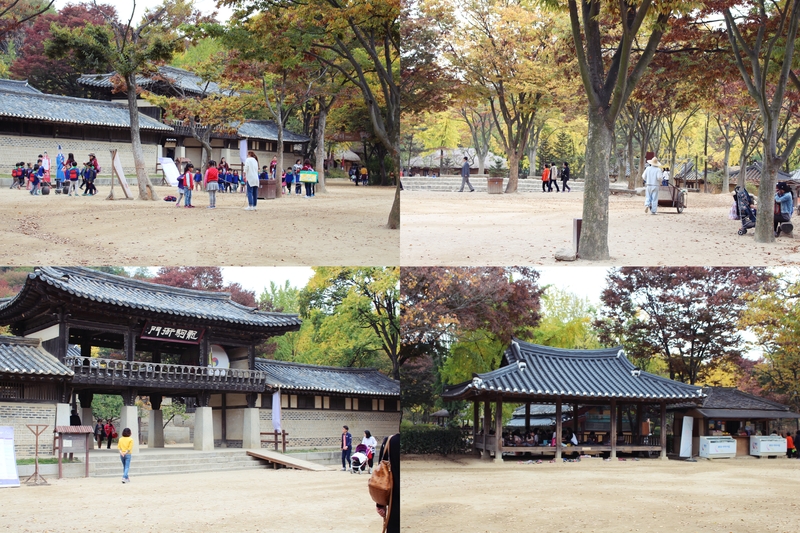 There were lots of these structures that look exactly like the ones in some of the Korean dramas. 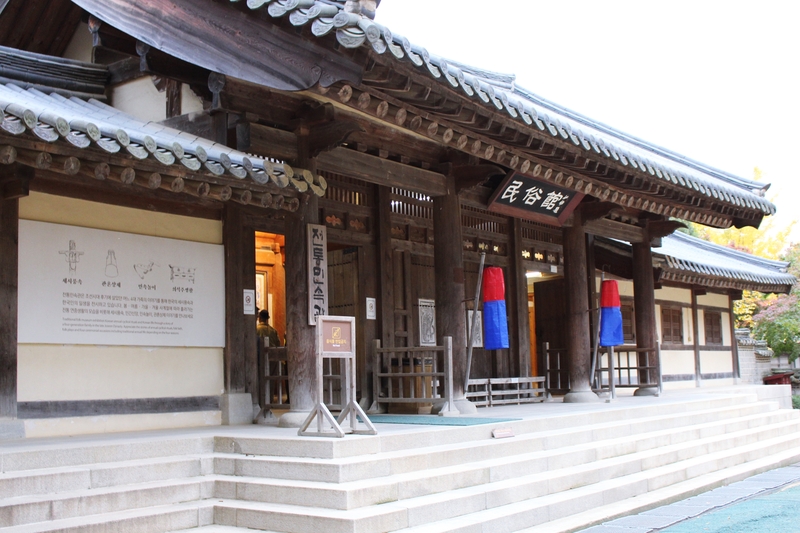 One of the ones we visited was the filming spot for the school in the drama Sungkyunkwan Scandal (성균관 스캔들). 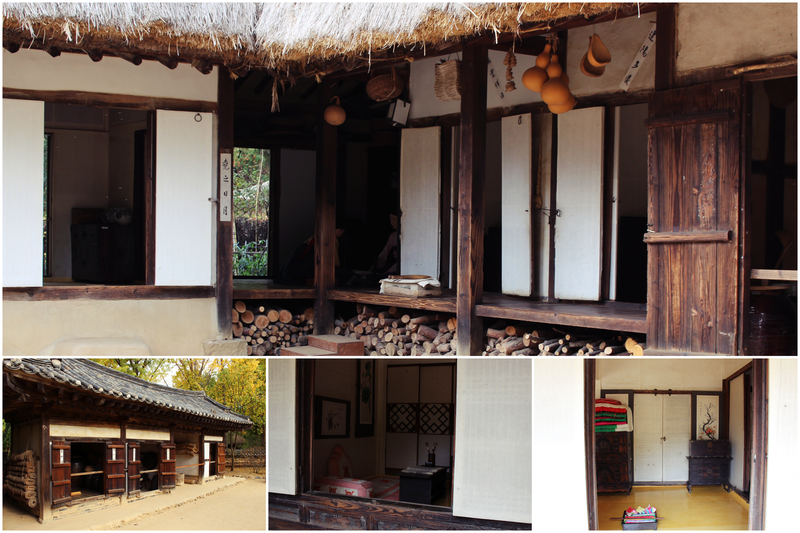 The whole village really took me back in time into a small traditional korean village and it let me get a glimpse into their everyday life. 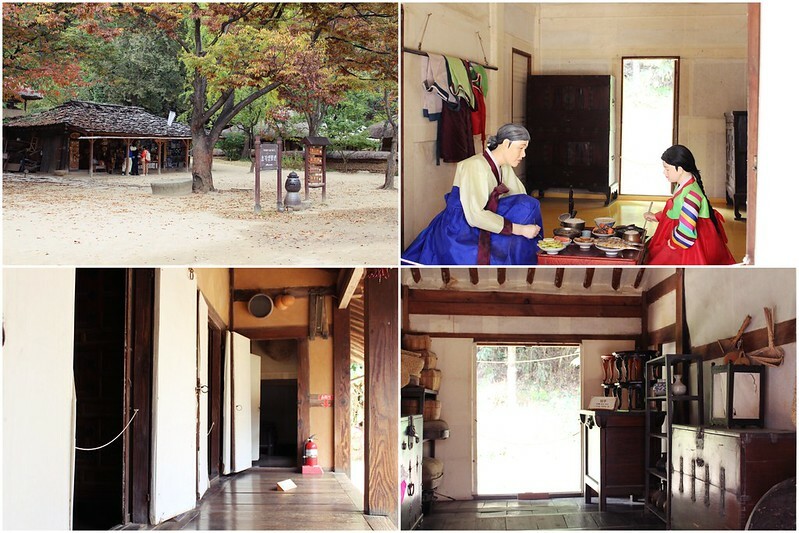 There were houses for the poor as well as those for the rich and government officials. 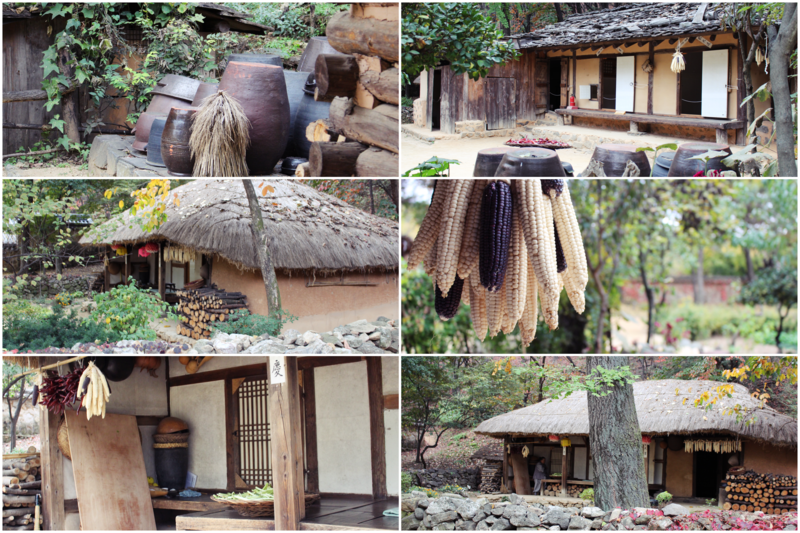 The whole village really took me back in time into a small traditional Korean village and it let me get a glimpse into their everyday life. 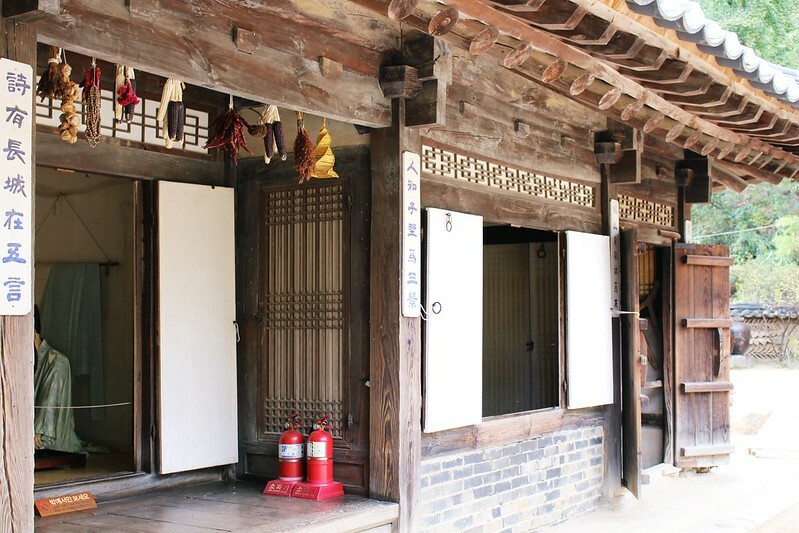 There were houses for the poor as well as those for the rich and government officials. One of the interesting buildings is the governor’s house/ city hall, where criminals are to be judged and given punishments for their crimes. Of course I tried playing the role of governor too muhahaha! There were also some performances that day with some stunts with horses as well as wedding ceremony. But other than that performance it was mainly just sightseeing. Being there really felt like I had stepped into the past especially since the workers were all dressed to play a role in this village. 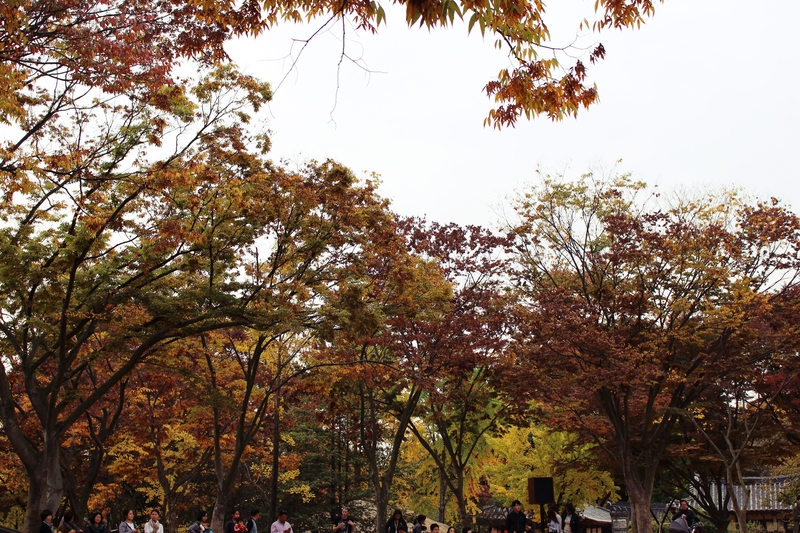 The entire place was completely in the autumn color scheme which is a pretty rare sight or me since I’m from sunny California. 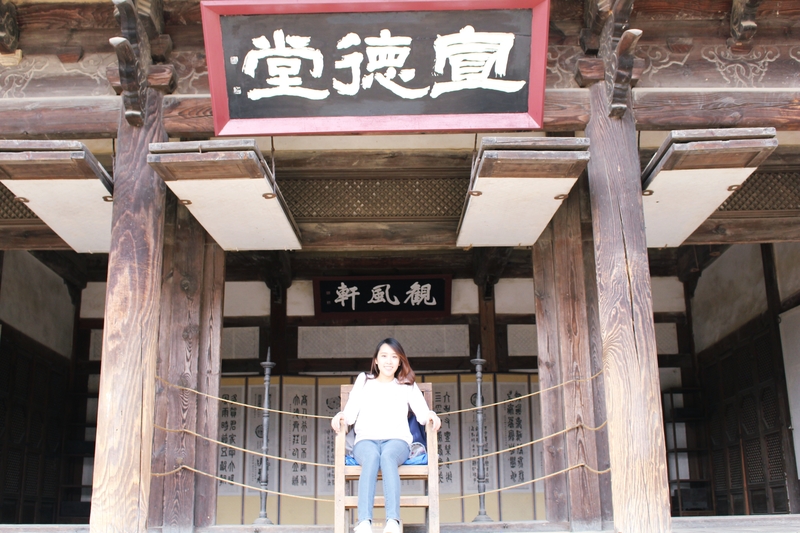 Since it is a tourist attraction, there were a lot of posters featuring dramas and celebrities. My favorite Korean celebrities were also featured. 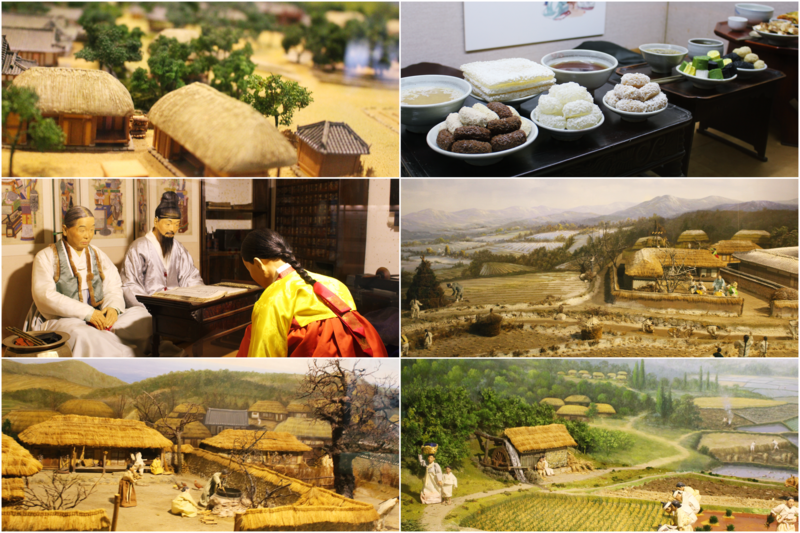 There was also a small exhibition that showcased traditional Korean delicacies and small models of villages. And ❤ ___ ❤ I see Jaejoong and Yoochun! 🙂 Coincidentally, Park Min Young's in both Sungkyunkwan Scandal 성균관 스캔들 and Dr. Jin 닥터 진 hahaha 😛 She's so lucky – she always gets all of the pretty boys! This village looks so beautiful!! Hope you had great fun!!! 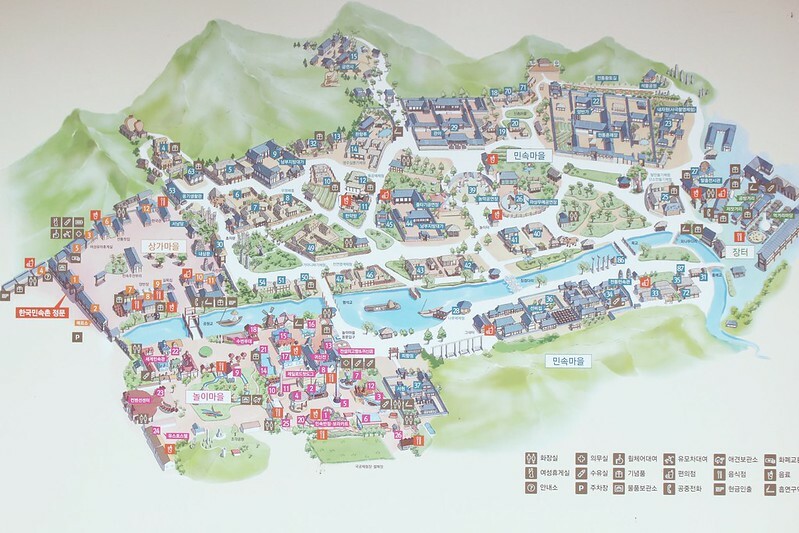 Enjoyed your post of Hong Kong and Korea! 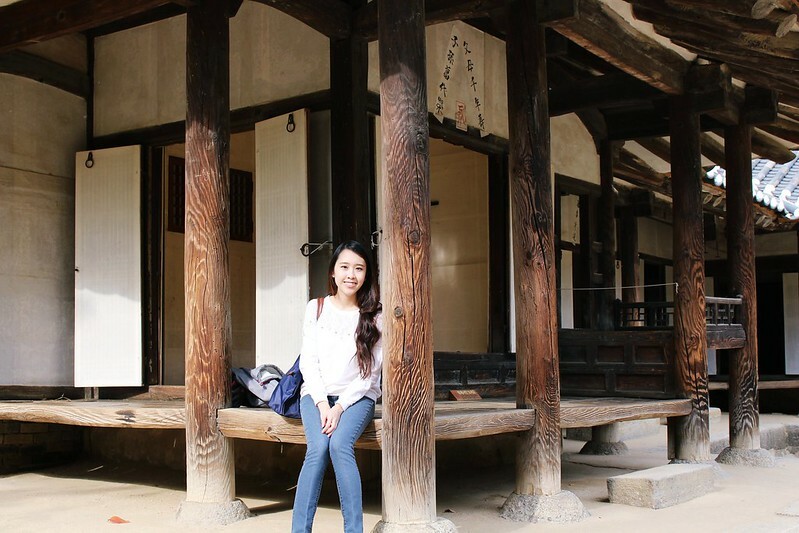 Hope you have a great trip in Korea, and looking for some more travel post!!!! What a beautiful post and trip!! 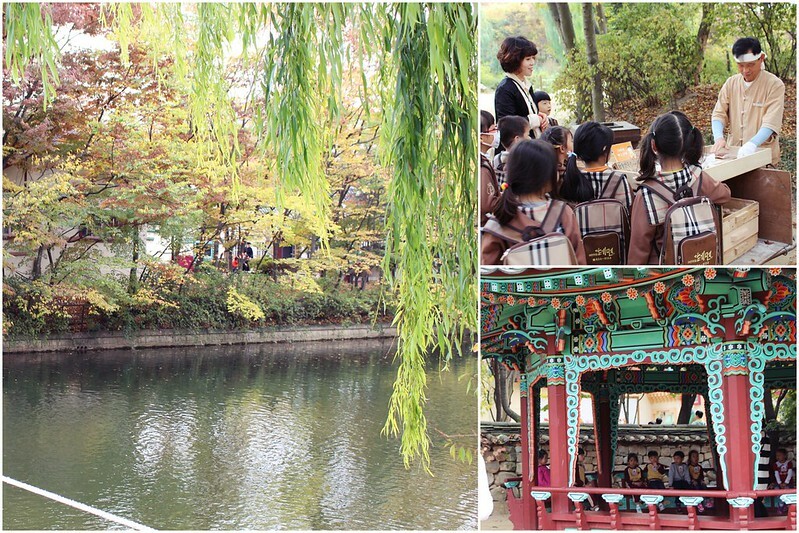 Question: are all those Korean children wearing burberry uniforms and backpacks?? What!! Awesome photos! 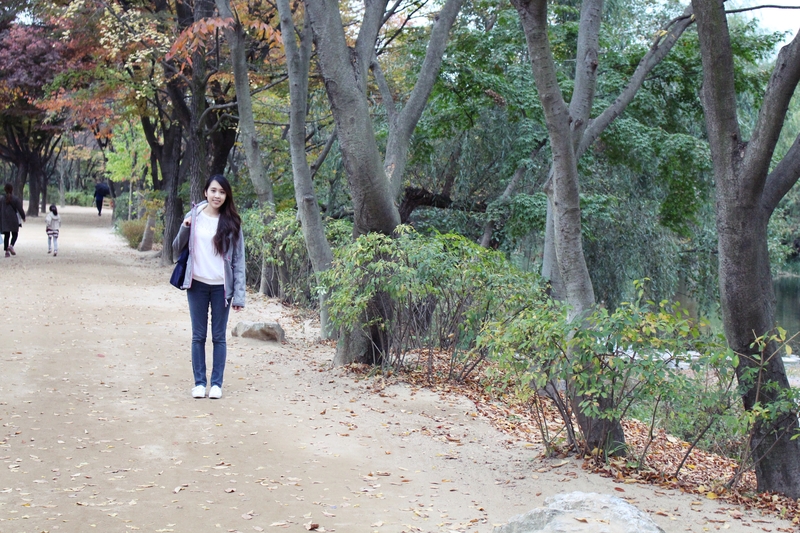 I would love to visit Korea one day. Great photos! These pictures look amazing! Hope you are having a great time in Korea! I had a great time there, thank you! 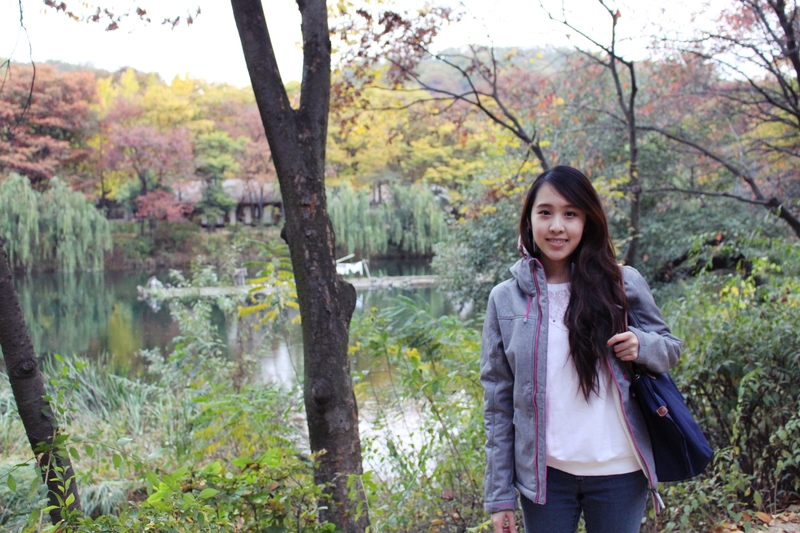 Really enjoyed this post…loved the colourful trees – beautiful. Thank you. 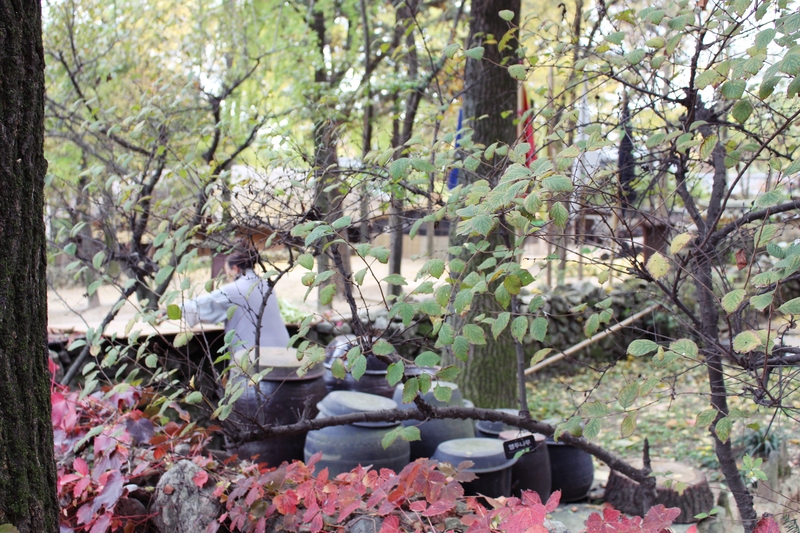 That’s something I really liked about Korea. It has such colorful trees in the fall in comparison to the sunny California that I’m used to.